A new article about the Flexible Smartphones in which Prof. Hadziioannou has been interviewed has been released in Le Monde: click here. 28/03/18 - Listen to Prof. Hadziioannou in a radio show on France Culture ! If you want to know more about the research on semi-conducting polymers and their application for flexible displays, do not miss the radio show "La Méthode Scientifique" on Radio France! 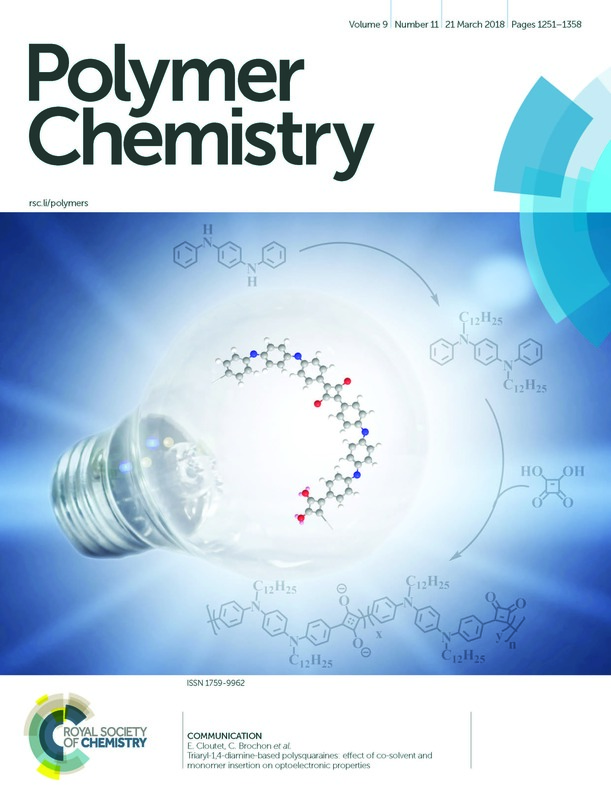 We are very pleased to announce that a recent article from our team, published in RSC - Polymer Chemistry; has been chosen to illustrate the front cover of the 21st March Issue (Volume 9 Number 11 pp 1251–1358). 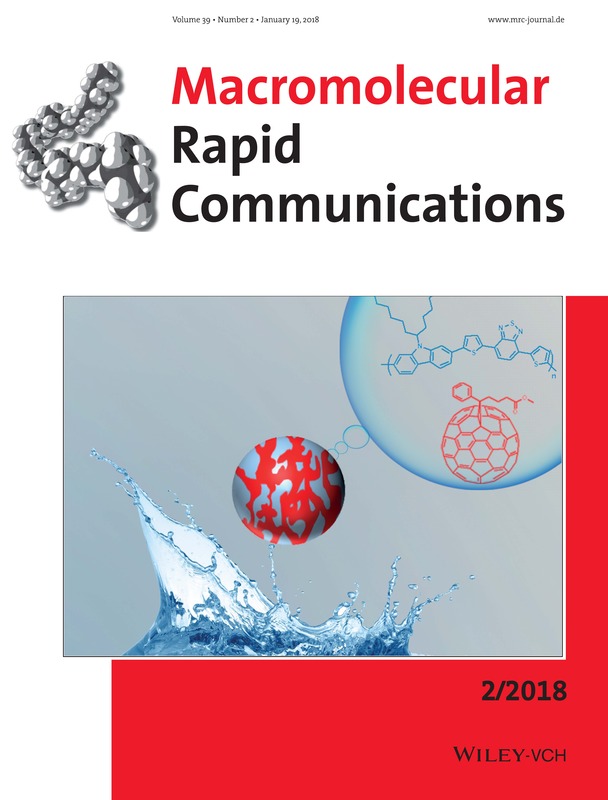 We are very pleased to announce that a recent article from our team, published in Macromolecular Rapid Communications; has been chosen to illustrate the front cover of the 19th January Issue (vol 39, number 2). 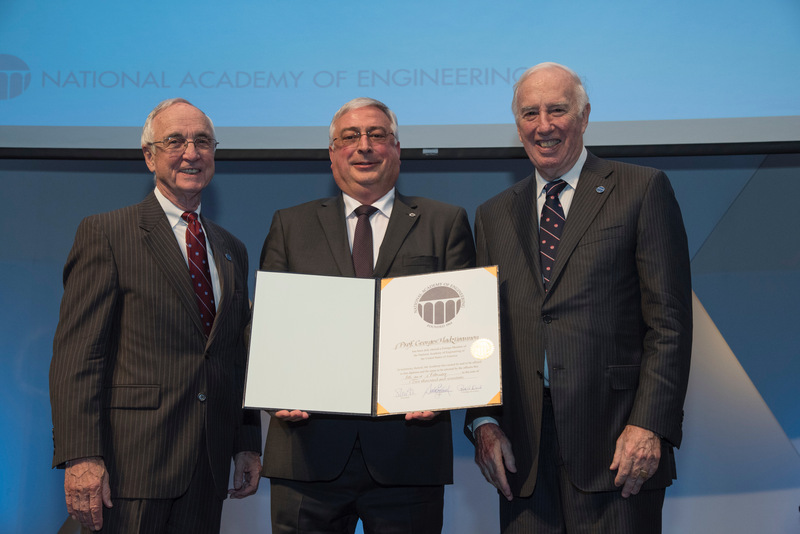 Prof. Georges Hadziioannou has been officially inducted at the National Academy of Engineering during a ceremony at the annual meeting in Washington, D.C., on Oct. 8, 2017. Prof. Hadziioannou has been elected for his foundational discoveries and insights enabling the development of polymers with advanced functionality and performance. A new article about Prof. Hadziioannou's election at the NAE has been released in Sudouest: click here. Prof. Georges Hadziioannou has been elected at the National Academy of Engineering for his foundational discoveries and insights enabling the development of polymers with advanced functionality and performance. A new article about the OLED Flexible Screens has been released in the Capital magazine: click here. 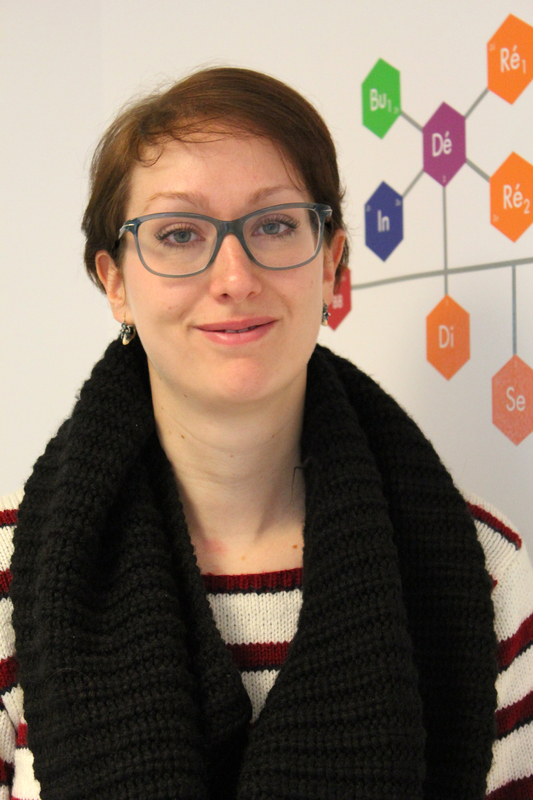 Alizée GLASSER has just joined the team as PhD Student in collaboration with the LOMA laboratory. Cindy GOMES CORREIA and Florian LE GOUPIL have joined the team from the 1st of November 2016 as PhD Student and Researcher, respectively. Lauriane GIRAUD and Geoffrey PRUNET have joined the team from the 1st of October 2016 as PhD Students. 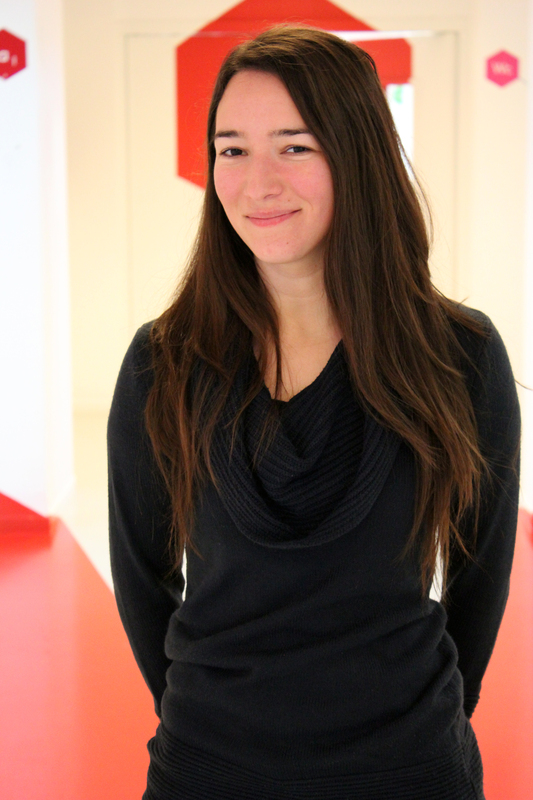 Also, Rim HARICH has joined the team as Research Engineerin the framework of the ANR Labcom project in collaboration with I2S. The annual meeting of IdEx Bordeaux took place on the 4th of July 2016 in Talence in the presence of the President of the University, Manuel Tunon de Lara, the President of the "Nouvelle Aquitaine" Regional Council, Alain Rousset, and the partners. 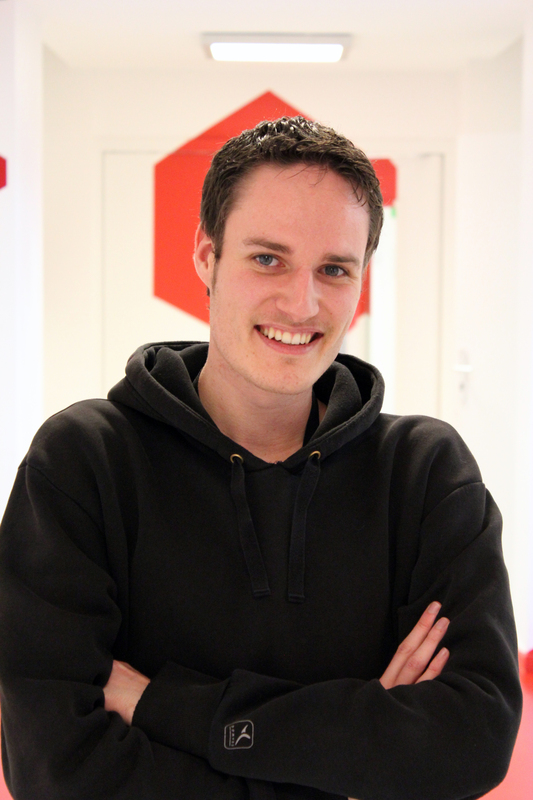 A new article about the ELORPrintTec platform has been released in the Industrie & Technologies newspaper: click here. 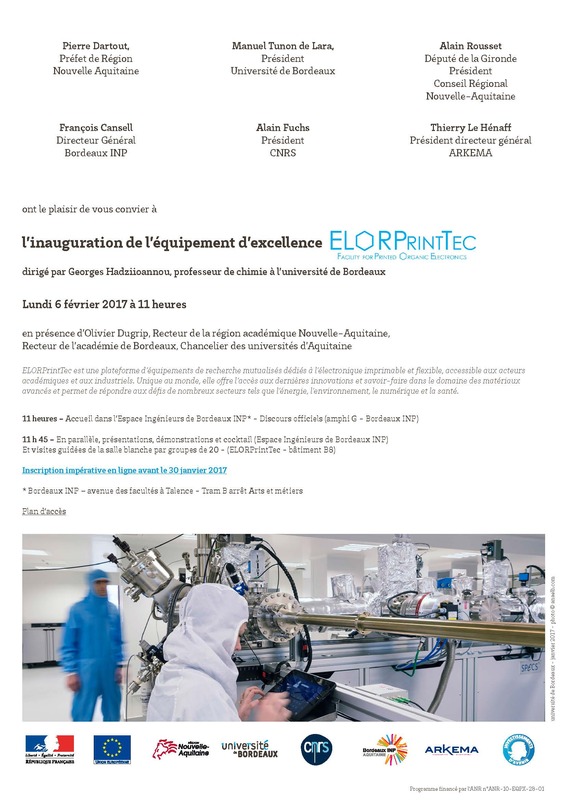 A new article about Prof. Hadziioannou and the ELORPrintTec platform has been released in the Industrie & Technologies newspaper: click here. A new article about Prof. Hadziioannou and the ELORPrintTec platform has been released in the Website of the University of Bordeaux: click here. The team of the industrial chair HOMERIC (LCPO) is happy to welcome the Organic Electronics Team of the Linköping University on the 28th and 29th of September 2015. For more info, please see the program here. Pierre MARCASUZAA and benajmin CANNICCIONI have joined the team as post-doc from the 1st of September. Laurent BADIE and Amélie NOEL have joined the team as post-doc in April and May, respectively. Cezar SPIRIDON and Jon MAIZ have joined the team as post-doc from the 1st of January. Prof. Hadziioannou will be officially nominated as Senior Member of the Institut Universitaire de France (IUF) on the 17th of October at La Sorbonne. Antigoni PASPALI and Manoj SAI GALI have just joined the team as PhD students in the framework of the Labex AMADEus. The first HOMERIC fall school on "Hierarchical assembled Organic Materials for ElectRonICs" will take place from the 13th to the 16th of October 2014 in Bordeaux (Aérocampus, Latresne). This fall school aims to address the state of the art of the scientific and engineering developments of the electronic and organic electronic technologies by bridging the gap between fundamental scientific approaches inspired by creativity and innovation and the constraints set by industry, markets and human actors. The school is meant for master and graduate level students as well as all those interested (university and industrial actors) in the academic and industrial frontier development of the emerging technologies of Organic Electronics. 02/07/14 - Our website is online ! Discover our team, topics of research, publications, equipments and much more on our brand new website made by the web agency idéveloppement. Do not hesite to look around and to tell us what you think by using our contact page.